GLACIROCK is a self-leveling blend of bitumen and polyurethane. It is used as a single component pore filler and primer for concrete surfaces and on civil engineering structures before installation of ANTIROCK and TRAFIKROCK heat-welded waterproofing membranes. 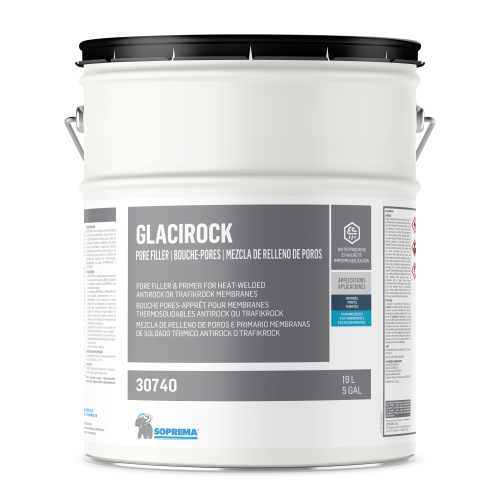 GLACIROCK fills in the small irregularities in the concrete and after cross-linking, resists the air and water vapour pressure contained in the concrete which can cause blistering in the waterproofing membrane.